Bring your dog to Hen Tyn Y Mynydd. These are the reviews for Hen Tyn Y Mynydd. There are 30 reviews. What a wonderful cottage, we have just enjoyed our stay here immensely and would recommend a stay in this cottage . Anglesey is a wonderful place to visit with so much to do and see. Gorgeous cottage. Fabulous scenery and views. Peaceful. Enclosed, very secure garden for dogs. Very well equipped. Great communication from both Sykes and the owners. Highly recommended. 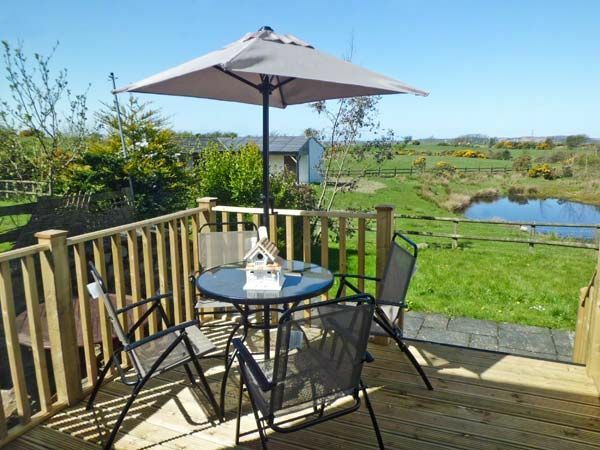 Hen Tyn Y Mynydd is a very cosy cottage in a beautiful and peaceful setting , would definitely recommend this cottage for a relaxing holiday and only a few minutes away from a lovely beach, our dog loved it. Beautiful cosy cottage in stunning location. It had lots of lovely walks some direct from the door and many more just a short drive away. We had a very relaxing week and would definitely go back, Thank you very much. The house was beautiful and in a lovely location. It was peaceful and quiet, a lovely comfortable cottage. Had a sea view from the bedroom and lots of walks from the doorstep. Our relatives booked the cottage as a birthday treat for one of the party (along with titan zip lining) We arrived first which wasn't a problem as the key is easily accessable. They booked this cottage as it is dog friendly and our collie pines if she is left behind with my mum. (or anyone else) The garden is dog friendly with gates and fences. The cottage is clean and homely. There are walks very close by and we walked up to the trig point twice. There are plenty of places to visit a short drive away and I know that Chris and John intended doing some of the circular walks nearby. We found a fab and welcoming victorian cafe nearby. We were there just for a long weekend but I certainly would return many thanks. A stunning house in stunning scenery. It was just the break away we needed, the house is warm and cosy with everything in you could possibly need for a comfortable stay. Would definitely return, if we can get in that is! There was so much that we liked about this holiday that the list would be endless. The cottage was so chocolate box pretty and the decoration and furniture was perfect. The situation of the cottage was off the beaten track with beautiful scenery surrounding us which is just what we wanted. The only sound we could hear was birds and sheep. There were lovely walks from the cottage for the dogs and the most wonderful beaches nearby where we could let the dogs run and enjoy a little freedom. Everything was provided to make our stay comfortable, and the beds were comfortable with crisp white bed linen. We intend to visit this cottage again as soon as time will allow as I could not wish for a more relaxing or enjoyable break. We had a lovely stay here - the cottage was beautiful as were the views from the cottage. In a tranquil setting but with great access to everything, we will definitely return. This property is in a very scenic rural location but local amenities are easily accessible. We found it ideal for the peace and quiet we wanted for our stay. The decor and furnishings in the property were to our taste and we had a restful and enjoyable Christmas in the cottage. We took a tree and some decorations which the cottage seemed made for! We were able to enjoy a walk to the top of the hill nearby as well as our favourite beach at Lligwy. The property was well equipped and cosy with the wood burning stove. The duck in the pond behind the property was a welcome visitor to the boundary fence in the garden every morning! We would definitely like to return there in the warmer weather. Cottage is amazing, set in beautiful quiet hill top, been twice and booking again for March next year. Excellent for dog walking. We found the cottage to be very clean, comfortable and well maintained. The owner was there when we arrived, completing some minor maintenance and was very friendly, she even took the time to show us around. We loved the welcoming touches of cake, a bottle of wine and milk as well as logs for the fire. It is a very quiet peaceful location. When sitting out on the decking during the late afternoon we were joined by a couple of ducks, some sheep and a pair of ponies just over the fence a few yards away. We highly recommend staying here. The cottage was beautiful with everything needed and decoration was fantastic and modern. Animals in the field at the bottom of the garden were lovely and made the cottage very unique. Would definitely recommend this cottage as the perfect family getaway, there is relaxation for everyone. We felt at home in the property which made our holiday. The information book which was left was very helpful as well as the variety of leaflets . Also we loved the fact that you had a variety of wildlife right outside the door and that just up the path you had walks which we enjoyed. We had a view in every window, which were amazing. The beaches where sandy which suited our little boy. We had great weather which topped off our holiday. Shops where a short drive away .The owner and the staff who kept the house in excellent condition where both friendly and helpful . We would love to go again and as we said in the book we will recommend this cottage to family and friends. I loved walking out of the cottage up onto the hill at the back. Very special. Great location for exploring the island. Amazing stay, will definitely be booking again. I totally fell in love with the cottage, and the surrounding area. It was a wonderful break, and I had not felt so relaxed in a long time with the quiet peaceful setting with no road noise or person traffic. I particularly enjoyed lighting the stove at night and reading in total quiet. We never saw the neighbours, and rarely heard anything from them either. It was very relaxing and comfortable. The house was very well equipped, and we felt at home. The cottage was in a beautiful setting, very comfortable. Home from home! Ideal location for touring the island. Did not want to leave! This cottage was one of the best we have ever stayed in. It was beautifully furnished. Great location for exploring Anglesey and its lovely beaches. Cottage is in a lovely position. Good views. Generally very well maintained. Pleasant décor. Log burning stove was very welcome for use in the evenings. Lovely nearby paths up the mountain for walks. Superb location with great views from rear patio over pretty countryside to distant sea views. Property decorated on a sea theme and stunning inside, very comfortable, modern furniture with really good quality furnishings. A really exceptional holiday let for adults and children alike. The cottage is cosy, welcoming and has everything and then some for a perfect holiday. The decor and furnishings are beautiful and homely. The beach view from the master bedroom tell you when tides in so you know when you can have that ong walk. The garden is secure so great for dogs and the cottage is fab being dog friendly too. I don't want to tell people about the cottage 'cos we want it all to ourselves but I have to tell people how fabulous it is and great for a special occasion. We will definitely be going back. The owners are so lucky and extremely helpful & friendly with a nothing is too much trouble attitude. Excellent. An amazing getaway. The perfect escape from the rat race. It was truly an experience the family will never forget. Perfect in every way. If you're looking for other cottages around Hen Tyn Y Mynydd, we've got some cottages below which may take your liking. 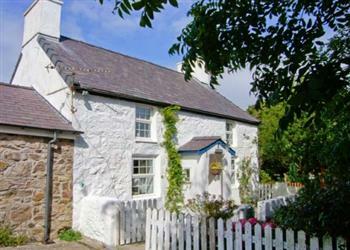 There are 56 cottages within 5 miles of Hen Tyn Y Mynydd - and they have reviews too.